The first of three July evaluation periods wrapped up on Sunday evening and we’ve compiled a complete recap of how several of IU’s top class of 2019 recruiting targets performed. Stat averages: 11.6 points, 9.2 rebounds, 1.8 blocks and 1.2 assists over five games. Shot 40.3 percent from the field and just 29.6 percent (8-of-27) on free throws. Notes: Jackson-Davis and Spiece Indy Heat didn’t advance past pool play in the Elite Youth Basketball League (EYBL) finals at the Peach Jam and finished 2-3 over five pool play games. The highlight of Peach Jam for Jackson-Davis was his performance in his final game in the event when he went for 24 points and 18 rebounds against five-star big man Vernon Carey Jr. and Nike Team Florida. 2019 Trayce Jackson-Davis (Indy Heat) was not gonna let his team leave #PeachJam ?without an impressive win. He had 11 dunks(!!!) against a strong Nike Team Florida (2019 No. 2 Vernon Carey, 2020 No. 4 Scottie Barnes). Stat averages: 13 points, 5.5 rebounds and 2 assists over four games. Shot just 28.9 percent from the field and 76.3 percent from the free throw line (29-of-38). 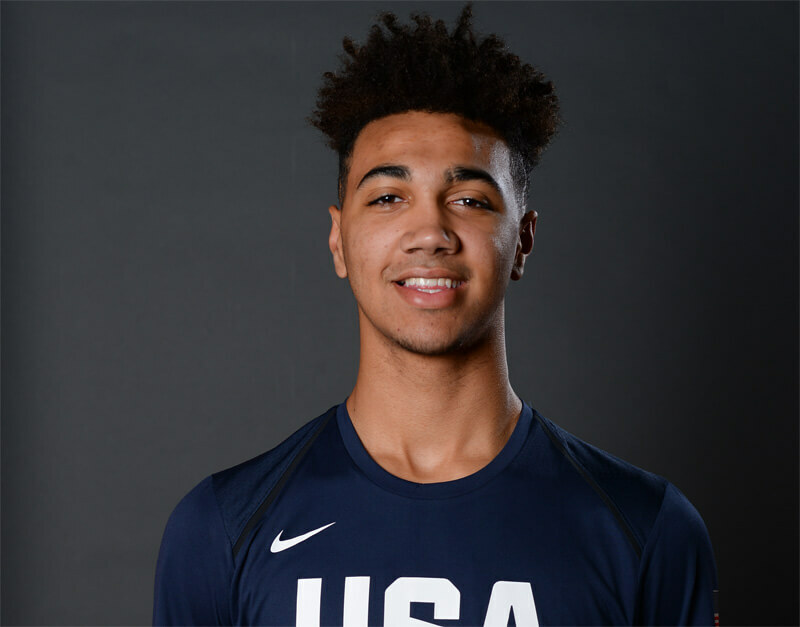 Notes: Brooks struggled with his shooting at the Peach Jam, but did an excellent job of getting to the foul line as shown by his 38 trips to the line over four games. His best individual scoring performance was 16 points in a 77-71 win over E1T1 United. Stat averages: 20.6 points, 6 rebounds and 2.6 assists over five games. Shot a ridiculous 60 percent from the field and went 13-of-16 from the free throw line. Notes: Hurt and D1 Minnesota started 4-0 in the Gauntlet finale before falling 87-83 to Compton Magic on Sunday afternoon. Hurt had two games of 20 or more points including a 29-point performance against Team Loaded on Saturday. Stat averages: 14.6 points, 3.4 rebounds, 1.2 assists and 1 block over five games. Shot 46.4 percent from the field and 38.2 percent on 3s. Newman was 12-of-14 from the free throw line. Notes: Newman scored 50 points over his final two Peach Jam games, including a 29-point outburst against the Playaz Club on Friday. Newman, who is transferring from Valparaiso to Montverde Academy in Florida from his senior season, shot close to 40 percent from behind the 3-point line in EYBL games. Stat averages: 19 points, 12.6 rebounds and 1.3 blocks over six games. Shot 53.4 percent from the field and 84.6 percent from the free throw line. Notes: There’s a reason Stewart is a top 10 recruit nationally – he’s a double-double machine. He posted double-doubles in five of his six Peach Jam games and led the City Rocks to bracket play where they fell to eventual champion Team Takeover. Stat averages: 14.2 points, 4.2 rebounds and 2.4 assists over five games. Shot 43.5 percent from the field and 36.4 percent on 3s. Franklin was 9-of-12 from the free throw line. Notes: Franklin holds a scholarship offer from Indiana and with DJ Carton’s commitment to Ohio State, he could shoot up the 2019 recruiting board if the staff feels that he can play point guard at the Big Ten level. He scored in double figures in each of his five Peach Jam games. Stat averages: 11.4 points, 4.2 rebounds and 1.8 assists over five games. Shot 53.3 percent from the field and 66.7 percent from the free throw line. Notes: A top 40 player nationally and an AAU teammate of Hurt, Nnaji has a scholarship offer from Indiana and was a big reason D1 Minnesota posted a 4-1 record in New York. Stat averages: 8.1 points, 2.6 rebounds and 2.3 assists over eight games. Shot 42.5 percent from the field, 86.6 percent from the free throw line and 37.5 percent on 3s. Notes: Harris and Team Takeover won the 2018 Peach Jam and finished the EYBL season 23-1 overall. The Paul VI Catholic guard knows how to play within the team concept and win. Indiana has already extended a scholarship offer and the Hoosier staff watched him in North Augusta. Stat averages: 15.6 points, 2.6 rebounds, 2.4 steals and 1.8 assists over five games. Shot 49 percent from the field, 73.3 percent from the free throw line and 48.1 percent on 3s. Notes: Another 2019 guard with an IU scholarship offer, Ramsey had a strong Peach Jam and continued to show why he’s one of the best two-way players in the class. Not only did Ramsey score efficiently, he also had 12 steals over five games, which is impressive.